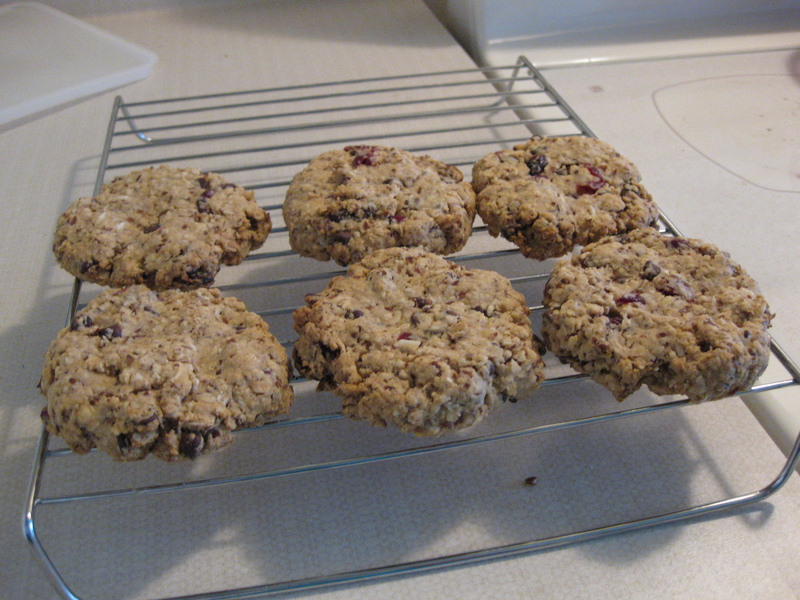 veganmofo 12: More Cookies! | Go Fork Go! I know it’s beginning to sound like all I’ve done in November is bake (and eat) cookies, but that’s not true. I eat a lot of other things – they’re just not all photoworthy. For example, my lunch today is a pb&j sandwich, hummus and celery. As awesome as pb&j is, I don’t think anyone needs a picture of my bread. I’m also certain that everyone already HAS a recipe for pb&j. Just saying. This past weekend, my band headed into the studio to record a song for a movie. The recording went from 5pm till 1-2am on Saturday AND Sunday to work around our producer’s schedule. Of course, that meant I had to bring food. Because I’m that way. So I baked the Supercharge Me! cookies from Eat, Drink and Be Vegan. I think it’s my new favourite cookie book (I don’t have VCIYCJ). Yeah, I know it has tons of awesome recipes but for some reason, I’ve been more interested in the cookies. So far, I’ve made 2 cookies from that book and just 1 other recipe which I heavily modified. Random pic of the drums from the studio. 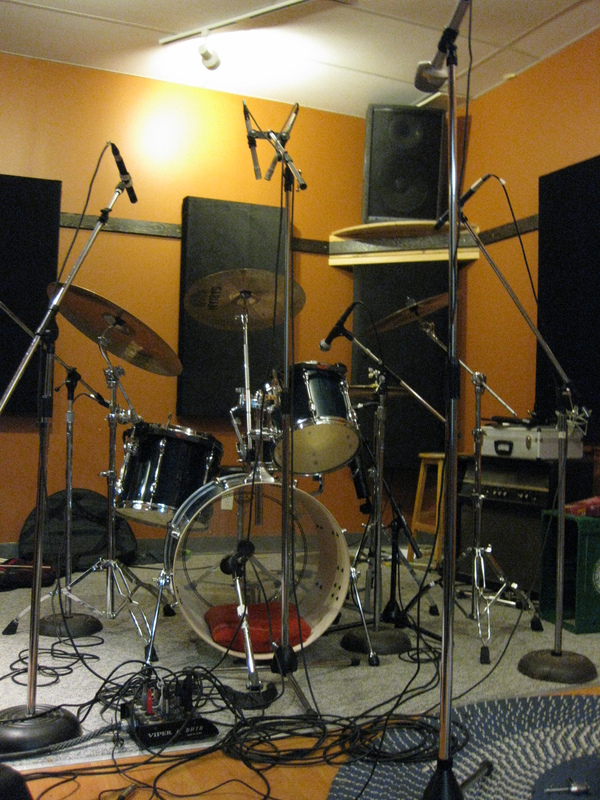 Cause mic-d drums are kind of cool. 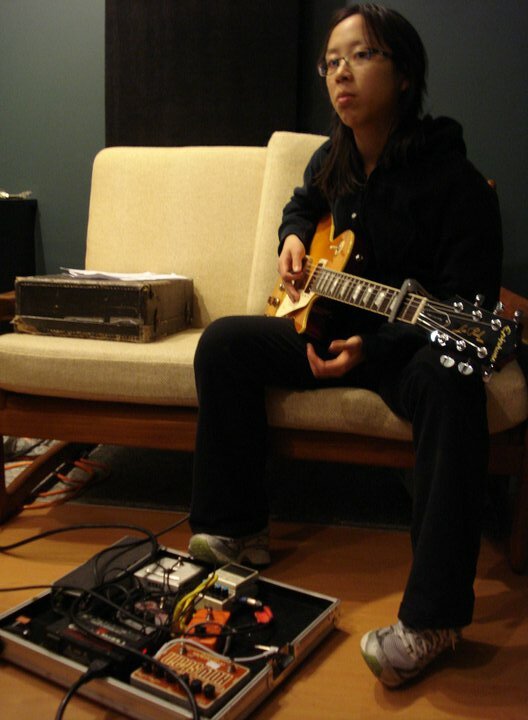 And yep, me playing guitar. I look kind of spaced. It was something like 9pm on Sunday night. I was pretty dead.